Protest For Dummies is an unashamedly political album that doesn’t hector or bully or lecture but will make you laugh, cry, tap your foot and sing along. 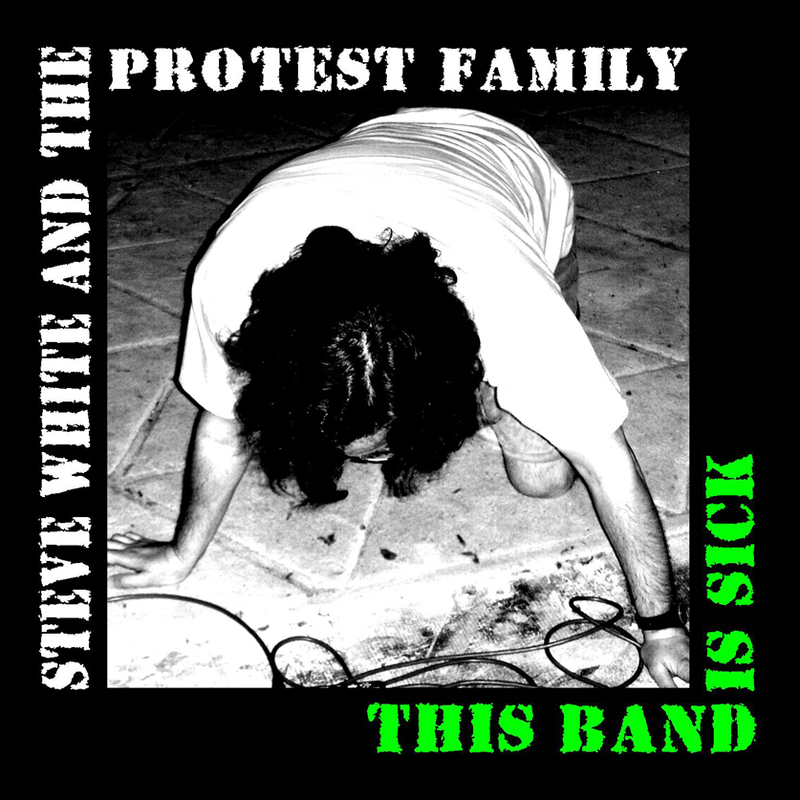 Welcome one and all to the third studio album from one of London Celtic Punks favourite bands Steve White & The Protest Family. It’s been two years since the release of last LP, This Band’s Sick and it’s been a long two years for anyone of a socialist persuasion. The Tories election win, Brexit, Trump and the increasing scourge of the poison of identity politics have ravaged the left and has not seen us so seperated from the working class in decades. 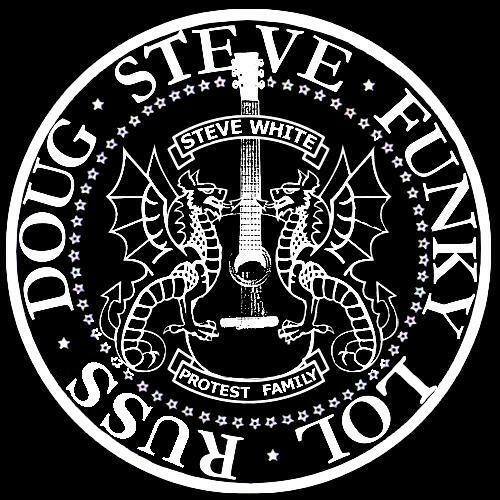 It’s hard to be left-wing at the moment and certainly there is no joy in being so… except that is for Steve White And The Protest Family! New release Protest For Dummies is that rare thing in left-wing circles. It’s a laugh and a bloody good one at that too. Growing up I use to hear this kind of music in the working men’s clubs around where I was born. Satirical folk music that was bawdy, risqué and near, and sometimes well over, the knuckle, most definitly not ‘PC’ but was also solid, full of pride and fiercly socialist. Those days are gone sadly and X Factor all but dominates, folk and punk music has gone soft and the real left are demoralised with the only possible ray of light being Jeremy Corbyn for all he’s worth. I’m as down as the rest are but soon as I slipped Protest For Dummies into the stereo I felt that fire burning up in me and by half way through I was ready for the picket line! The album begins with ‘God Save The Queen’s Speech’ and your first impressions are of a Cockney rhyming away over some laid back acoustic folk and no drums! Yes they have no drummer. Never had and never will for as they announced on their debut album ‘Drums Ruin Everything’. Its all humorous and tongue in cheek on the surface but their’s an anger raging underneath. Next up is ‘Tag Team Time’ and if you’re looking for a wrestling metaphor involving Jeremy Corbyn that this is the one for you. ‘George Of The Jungle’ starts off with that much under used instrument in celtic-punk the harmonica. The song tells of Saint George, the patron Saint of England who was thought to be born in Syria on 23rd April 303 and imagines him being stuck in the Calais refugee centre, nicknamed the Jungle, trying to get out. ‘Hardwork’ leaves the instruments behind and the band go it acapello with each band member sharing the singiong and instantly reminds me of Attila The Stockbroker. ‘IDS Land’ is about that most unpopular of Tory politicians Iain Duncan Smith. He’s the MP for Chingford and Woodford Green on the East fringe of London. Before him was Thatcher’s rottweiller Norman Tebbitt and before him Winston Churchill. It was also the birthplace of such notables as David Beckham, Carry On star Leslie Phillips and guitarist Steve Hillage and it’s also where The Kray twins are buried. hard to fathom how the people there could be conned into voting for these scumbags but their you go. Some more electric guitar and I get the feeling someone in the band is an old rocker! ‘None Of The Above’ is next and refers to the possibility of putting none of the above on the ballot paper at elections. One thing you can say about Protest For Dummies is that its all very lively and with Steve’s vocals as clear as a cockney bell it doesn’t matter there’s no lyrics included on the CD cover. These songs are very London-centric and close to the bands heart as they live on the eastern fringe of London themselves in Walthamstow. I use to work there and loved the area but slowly the yuppies are closing in. ‘Pop-Up Punx’ rips the piss out of that punk sacred cow Johnny Rotten among others. How the establishment is now getting into punk and the true conservative (little ‘c’ and big ‘C’) nature of the old time punks who are now trying to deny the things they once said (and never really) believed in. All a joke. I love ‘The Side Of The Fox’ as it’s one of the rockiest off the album. Fox hunting is still happening and Steve and his bandmates are on the side of the fox against the Cameron’s and the Clarkson’s of this country. 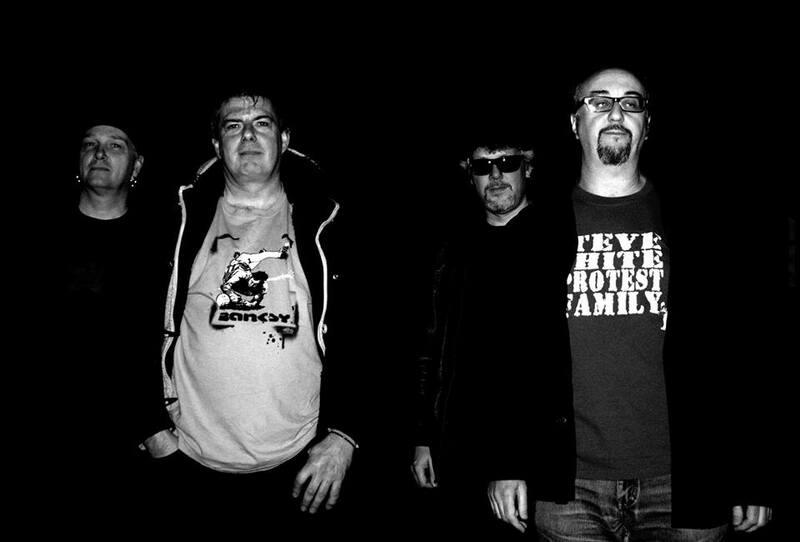 They turn their hands to a bit of blues-rock next with ‘Sniffin’ Gluten’ about those said yuppies that are on the march to E17 (Walthamstow’s post-code) to take over the shops and the close down the pubs. The album comes to an end with the sweary epic ‘A Song For Sonja’ with the words written by a dear friend and comrade of the band who died last year. That is not the end though as the real end comes shortly after with a song I fecking love and have been waiting for a reference to for the entire album. A little clue to what I mean can be found in the review we did of This Band Is Sick here. And that is that. Twelve songs clocking in at forty-six minutes and right up their with their previous releases though I can’t help feeling that if they weren’t so concerned on getting their message across they could properly ROCK-OUT a bit. The lyrics are multi-layered in the same way a band like Half Man Half Biscuit’s are in that you may listen as close as you can but you’ll always discover a line you never heard before that will raise a smile or two. Musically they occupy the space that’s neither punk nor folk but at the same time both. 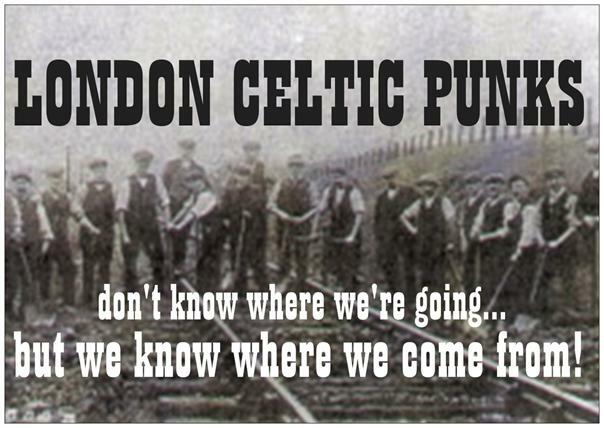 Is it just for grizzled, working class, left-wingers who drink real ale and watch lower league (soon to be the top echelons of non-league perhaps…) football like me? Well yes and no. It could well be the soundtrack to our lives but if I thought that good music like this didn’t have the power to go beyond the converted then I think I would chuck my lot in with the X-Factorists and that must never happen!